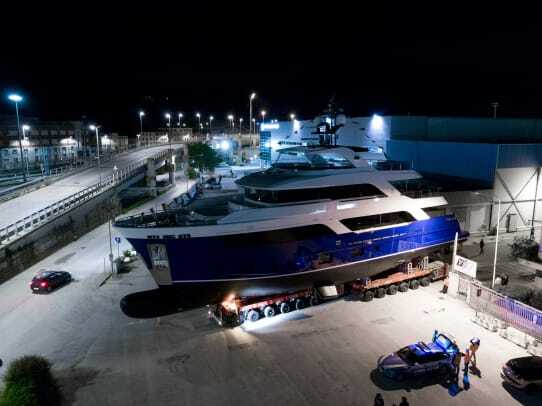 Inside CdM's M/Y Gatto, with exteriors by Hydro Tec and interiors by Francesco Guida Design. 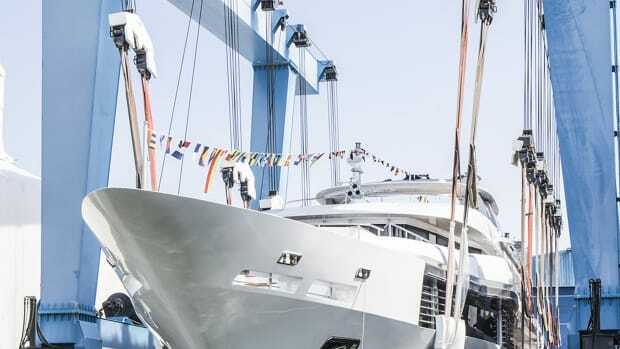 CdM has announced the successful launching of the Acciaio 105, christened Gatto. 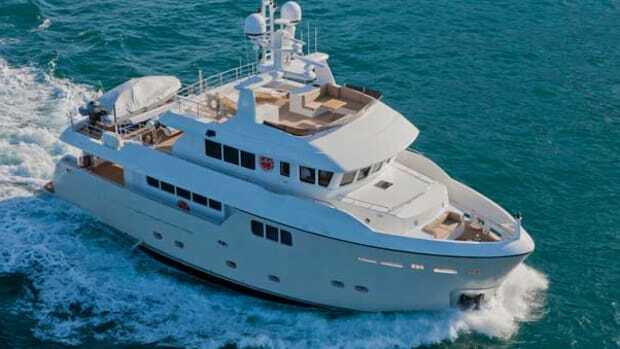 Her delivery is planned for later in the summer. 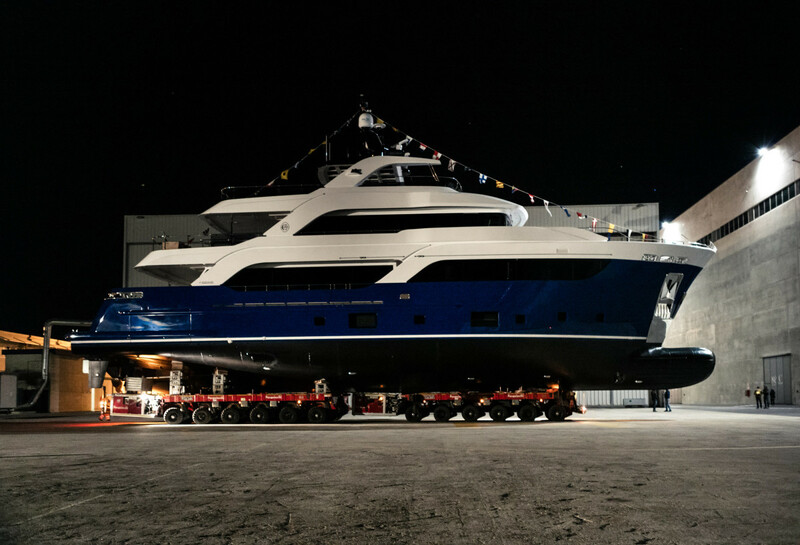 Responsible for the exterior design as well as naval architecture is Hydro Tec who has given M/Y Gatto a bold yet contemporary exterior accompanied with traditional fresh interior style by Francesco Guida Design. 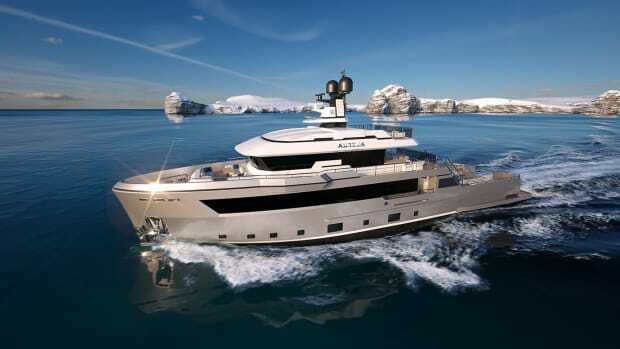 The name "Acciaio" (steel, in English) was chosen to emphasize the yacht&apos;s robustness and character. 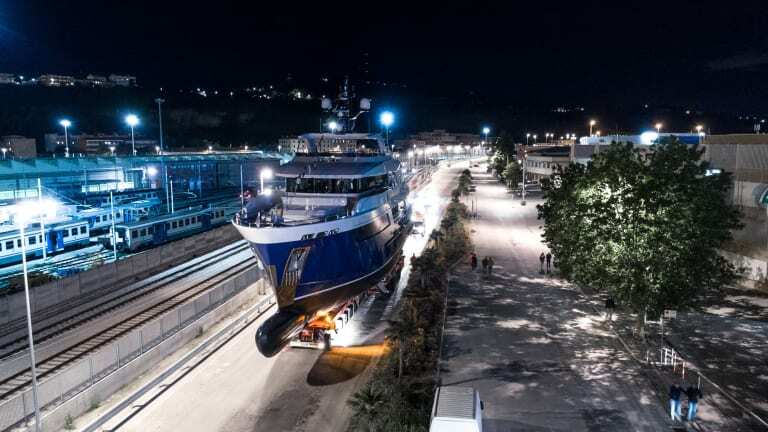 According to the shipyard, the owner—having experienced the seakeeping of the Darwin 107 Storm into a real storm with winds 40 knots and more than 3-meter swells—was attracted by the benefits of a robust and reliable explorer hull, yet asked both yard and designers for softer and more contemporary lines. 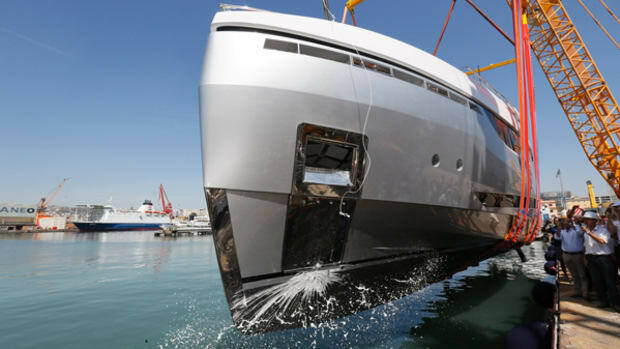 Thanks to her strong yet gentle lines, Acciaio 105 crosses indeed the ineffable border between sturdiness and robustness. 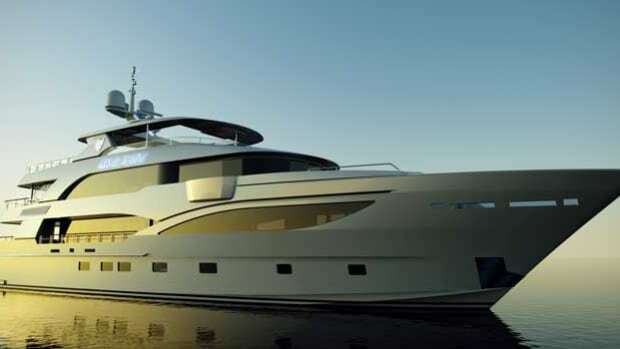 Acciaio 105&apos;s design combines beautiful lines with a contemporary flair. 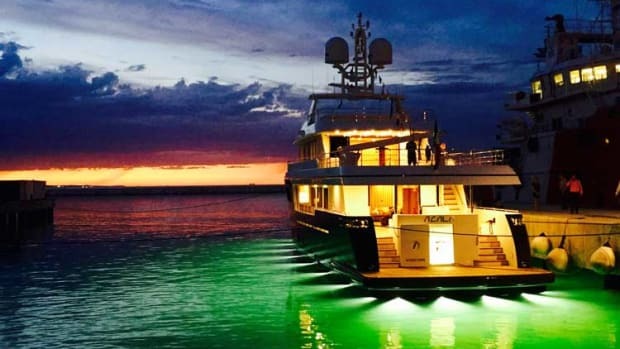 Private exterior decks create the perfect retreat for the guests while generous interior spaces host both social and private areas for 10 guests pampered by a crew of 6. “We have been asked to create classic-contemporary interiors with a soft and relaxing feel throughout,” says Italian designer Francesco Guida who took an architectural approach to interiors. They are the result of a true collaboration among the designer, the owner and the yard as they negotiated around structural constraints to achieve the best possible result. “We have created a unique look by designing linear furniture enriched with exquisite burnished metal details while combining natural oak with white lacquered surfaces and glossy ebony details, we gave character to the ambience,” Guida continues. 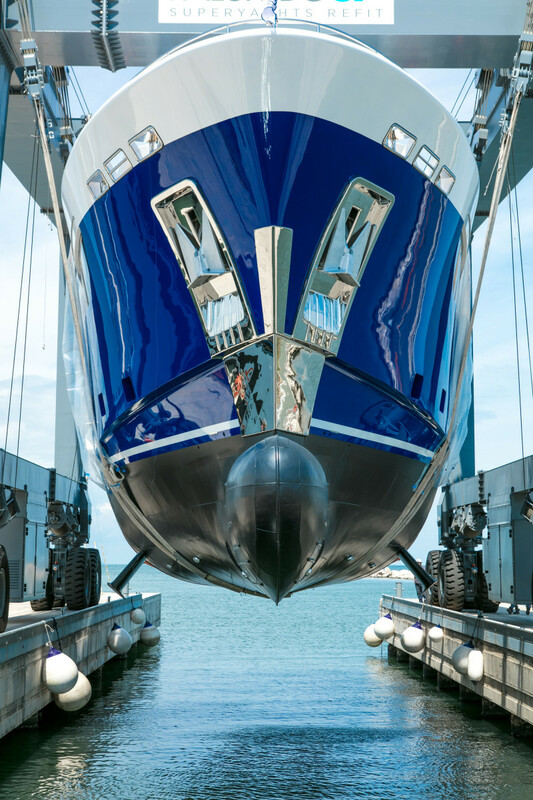 “We did our best to design interiors that are cohesive to the yacht&apos;s exterior line.” By boldly mixing dark and bright colors and cleverly contrasting materials, Guida breathed life into Gatto&apos;s interiors. 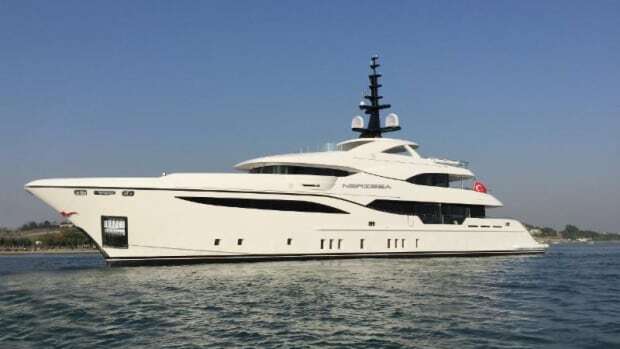 With a transatlantic range of 4500nm at the economic speed of 10 knots, top speed is 13 knots, achieved with two Caterpillar engines, 500 kW each—relatively small engines for a yacht of her size and displacement. 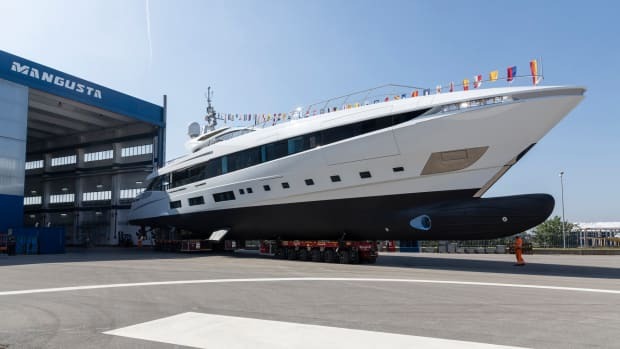 Thanks to her well-engineered steel hull with bulbous bow, Acciaio 105 will ensure a smooth path through water, according to the yard, and will be the perfect home away from home in all sea conditions. 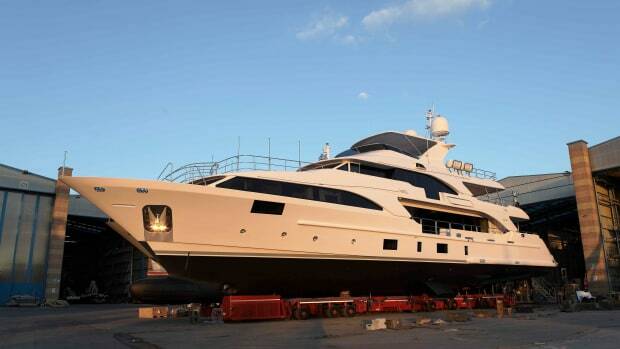 Gatto&apos;s owner plans to enjoy his yacht on her maiden voyage.